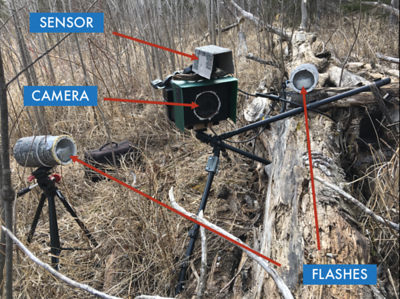 Remote camera trapping is a modern, innovative photography technique used to capture wildlife in the act. You may be familiar with "Game Cameras" or "Trail Cameras"; this is just a fancier version. 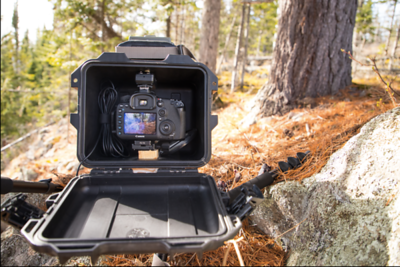 The method essentially puts a DSLR camera into a waterproof case mounted with a photo glass window. The camera is wired to a passive infrared sensor that detects movement and heat. Wireless flashes are housed in their own waterproof cases nearby and are triggered along with the camera’s shutter. 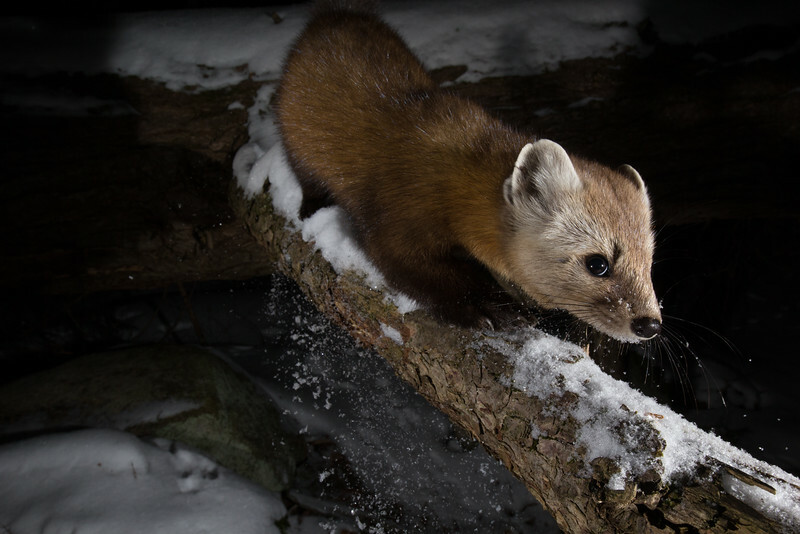 It enables the photographer to have a set of eyes in the forest. 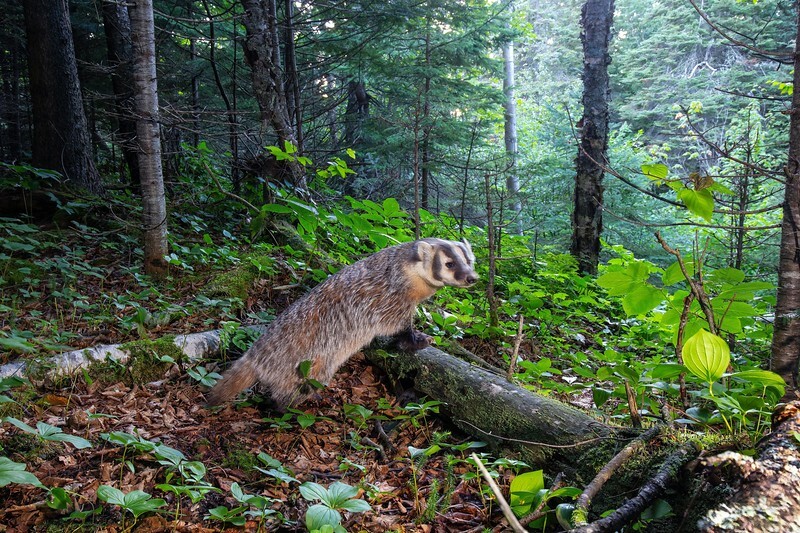 One can capture images of wild critters without actually being behind the lens. Some might say it's luck, but it is so much more than that! Knowledge of animal signs, behaviors, and habitats goes a long way in being successful in catching your target subject on camera.